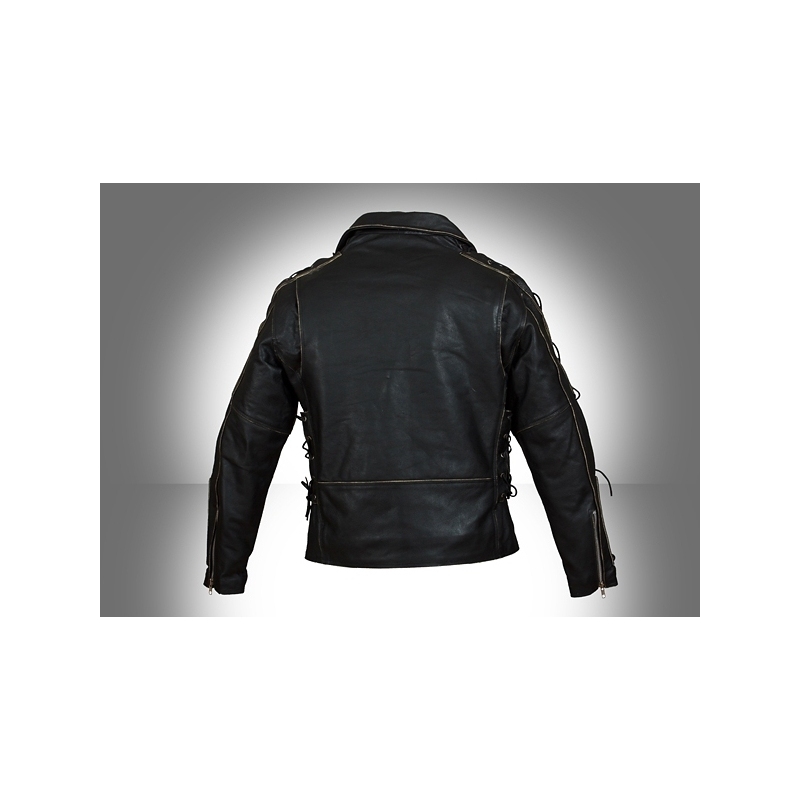 Ultimate Rebel - Stylish leather motorcycle brando jacket. 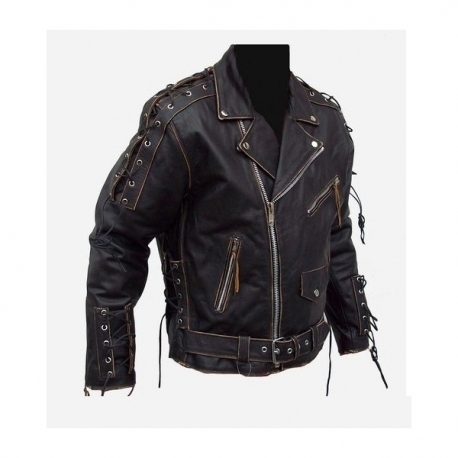 Stylish jacket made of top quality buffalo leather, with inner lining. With laces you can adjust size up and down as you need. 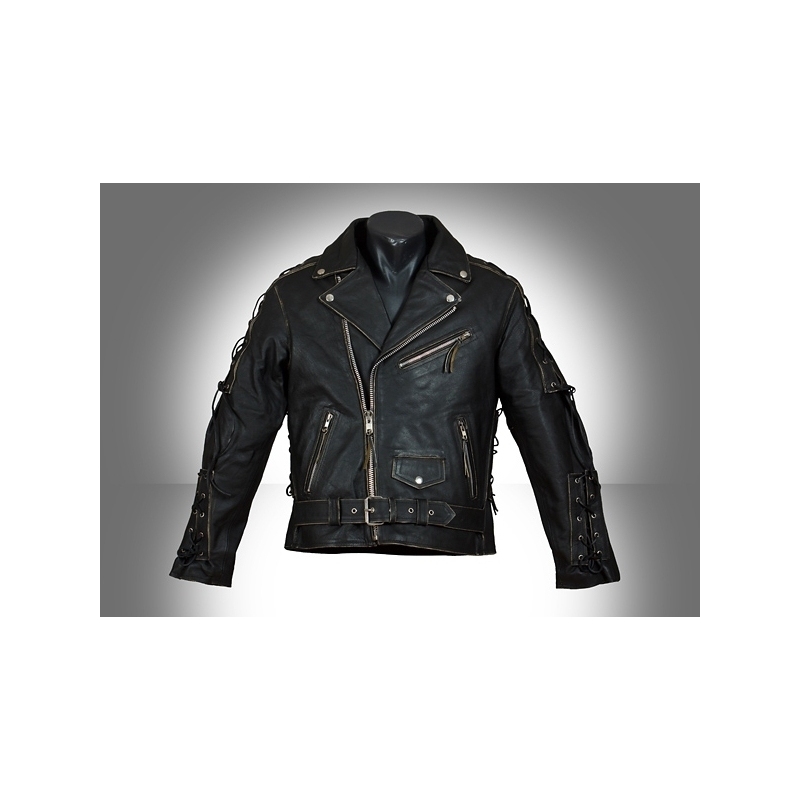 Suitable for motorcycle riding and as a casual wear. 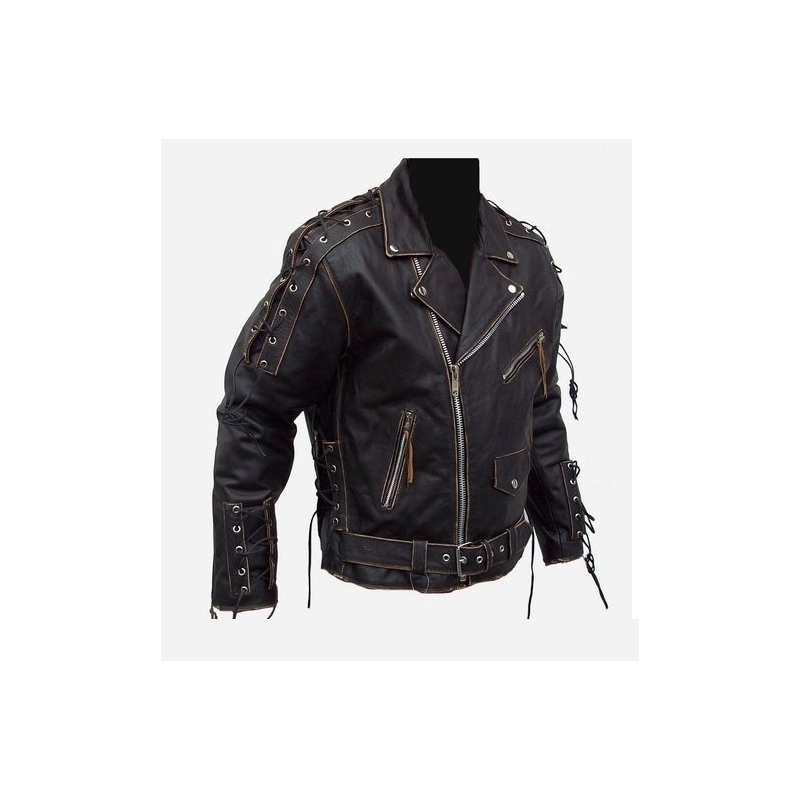 Pockets for protectors on back, elbow and shoulder. 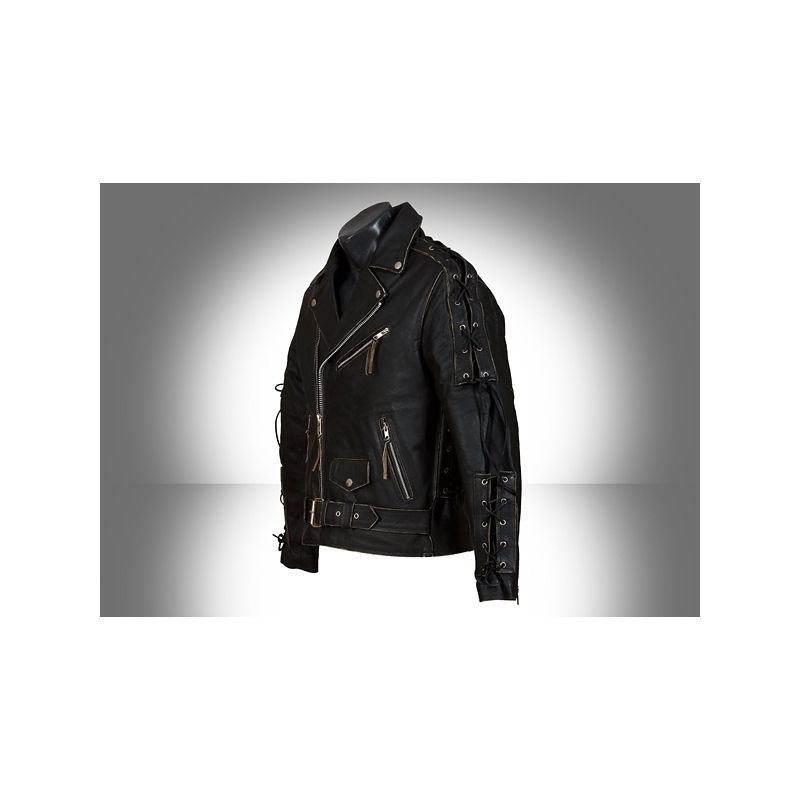 Armour set can be bought seperately for 20€.